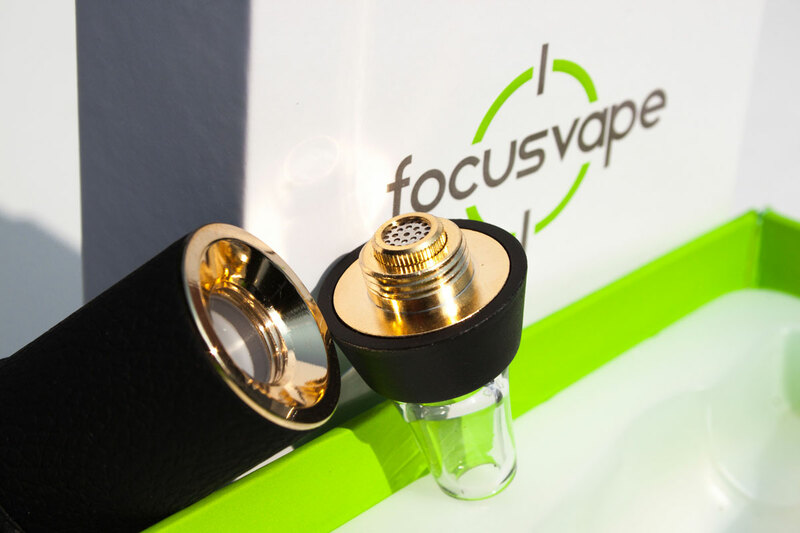 The Focus Pro is a great vaporizer for those looking for a pocket sized portable that heats up fast, is easy to use, delivers surprisingly robust vapor and has a removable battery. Focus fits a ton of features into this affordable, small package. 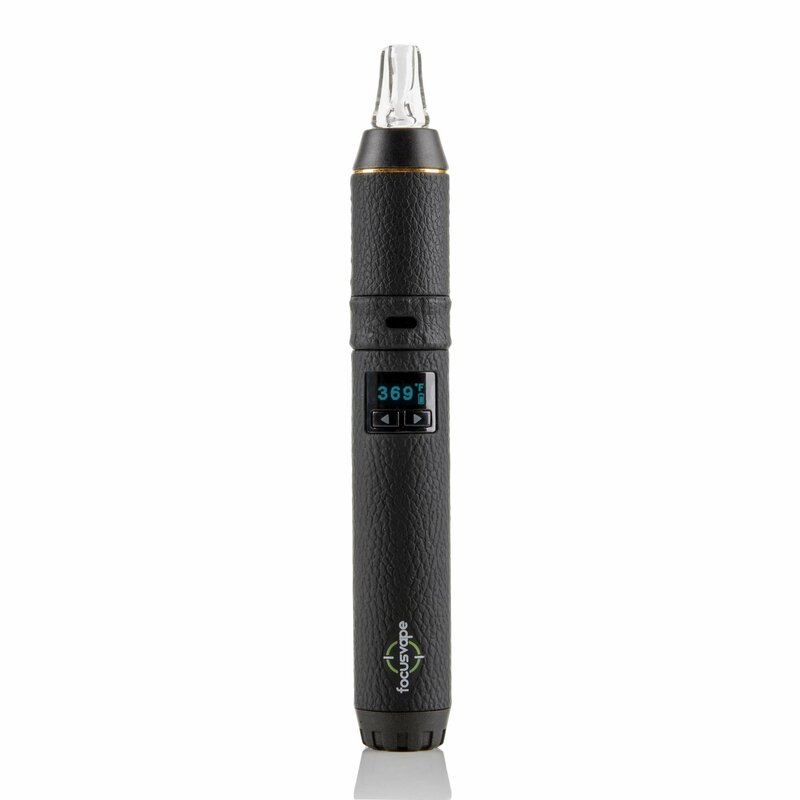 Fast heat up time, adjustable airflow, replaceable 18650 battery, digital OLED temperature control, pass-through charging and vibration to let you know when it hits temperature and is ready to vape. 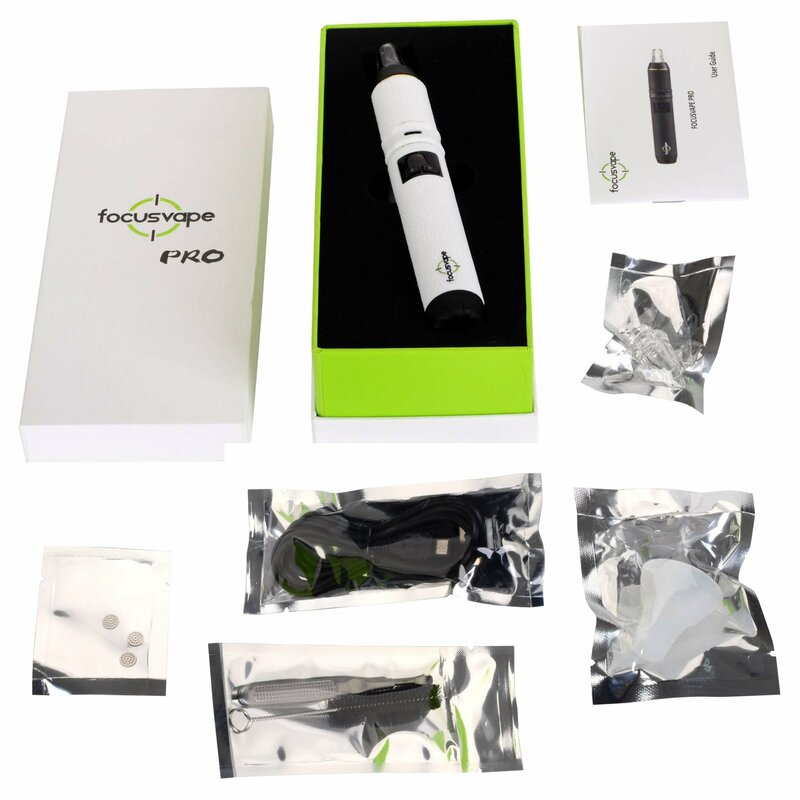 The Focus Pro is intuitive, easy to use and does not require any special technique to get great vapor. Load, turn on, heat up and vape. Simple. 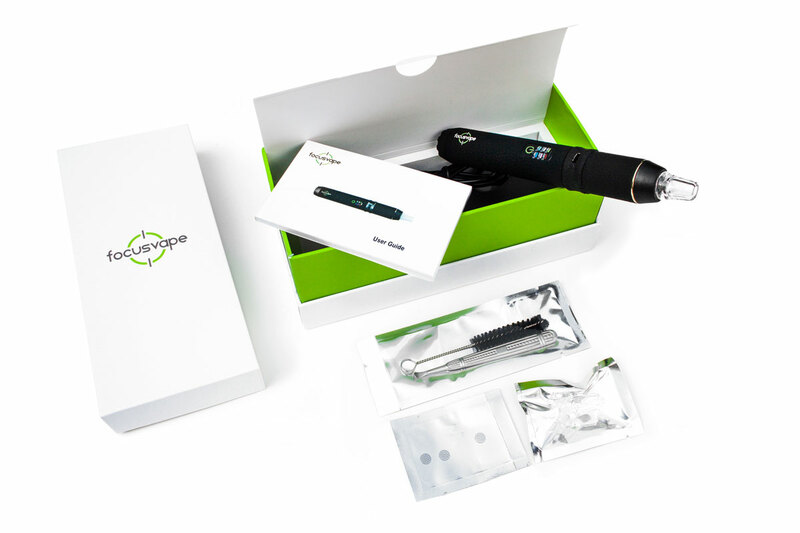 With the Focus, you get to full temperature and are ready to vape in just around 30 seconds. With a removable, high capacity 18650 battery the Focus Pro gives you about 60 minutes of runtime out of the box. Expect between 8 and 12 sessions (5 to 8 minutes long) plus you can opt to buy a second battery and always have an extra charged and ready to go. The Focus Pro is durable, the body is tough enough to take a few spills in stride and with the screw on oven lid your material is safe from dumping out in your pocket. Though the leather texture of the silica gel covering the vape is “different”, the Focus Pro looks clean in person and feels good in hand.